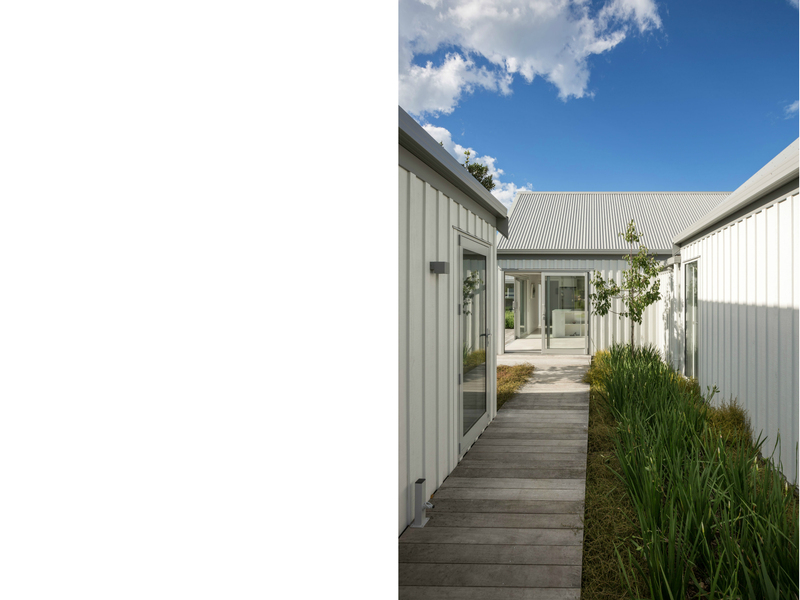 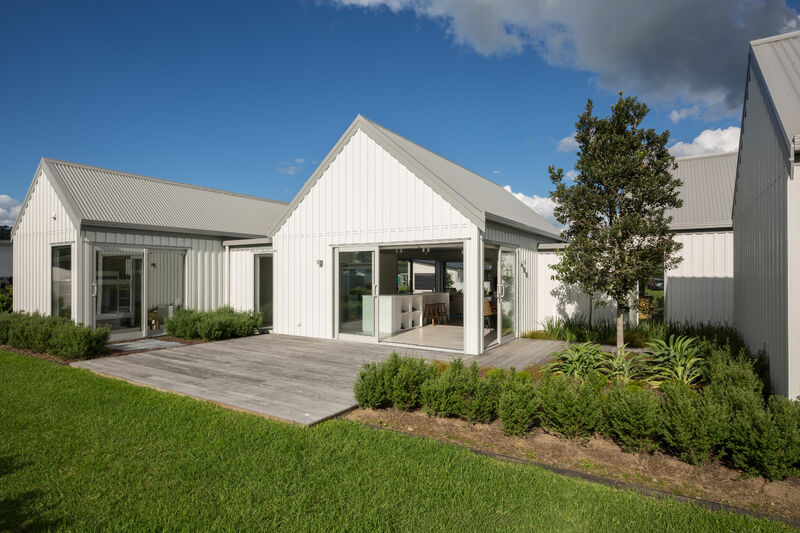 This house's brief was to be both a showhome and site office for a client who developed a new subdivision on Cooks Beach. 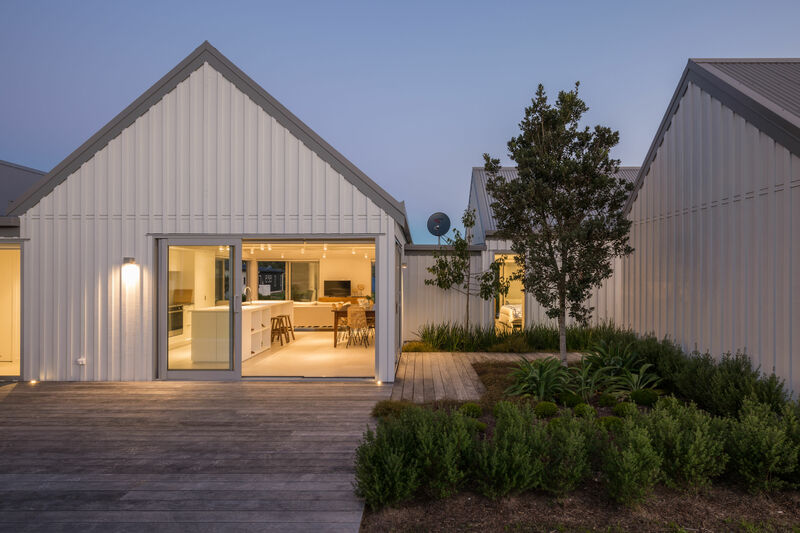 The house was designed to open both to the south-east and north-west, for views and sun respectively. 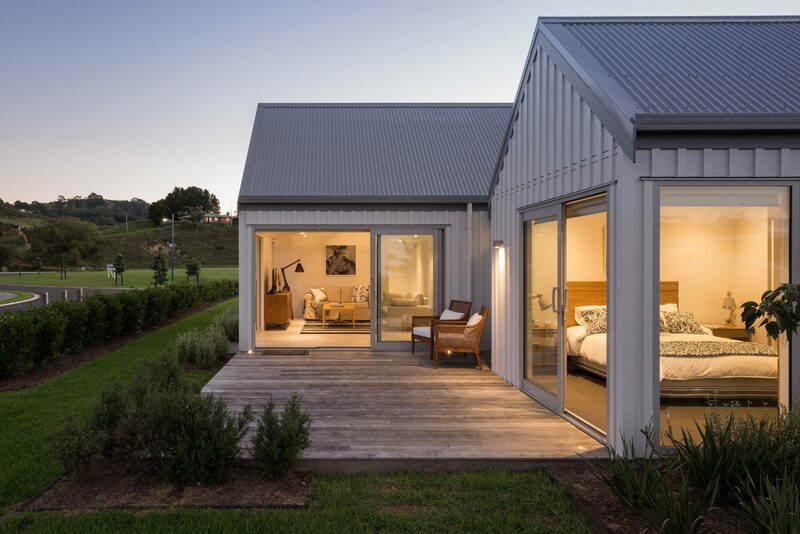 The rooms have large sliding doors in each corner that open towards these aspects. 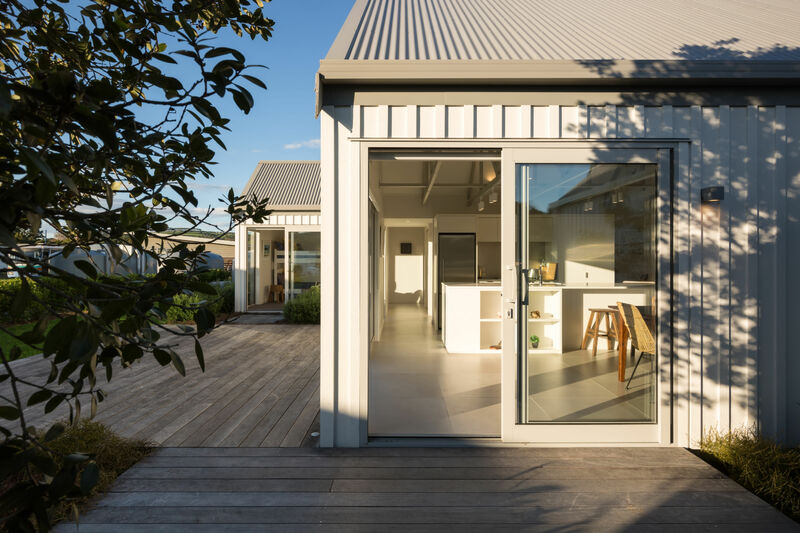 The spaces of the house are compartmentalized into separate buildings with walk-through connections for a ‘boat shed’ aesthetic, similar to Tata Beach House. 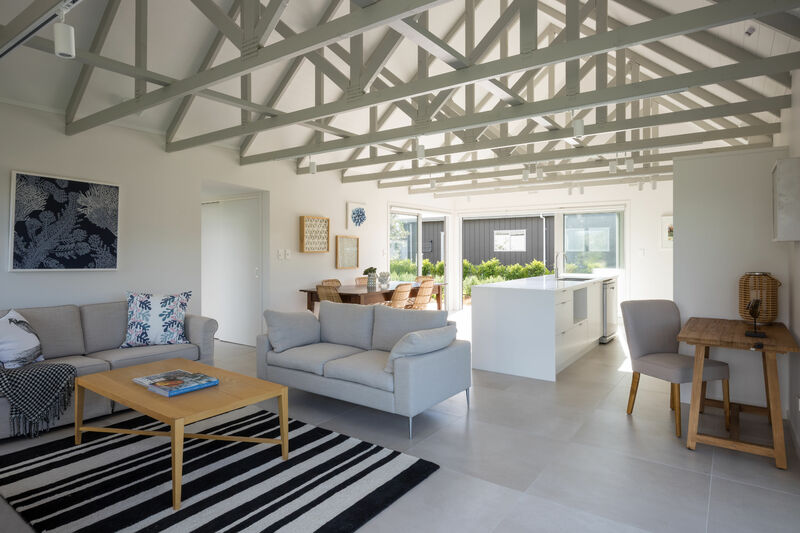 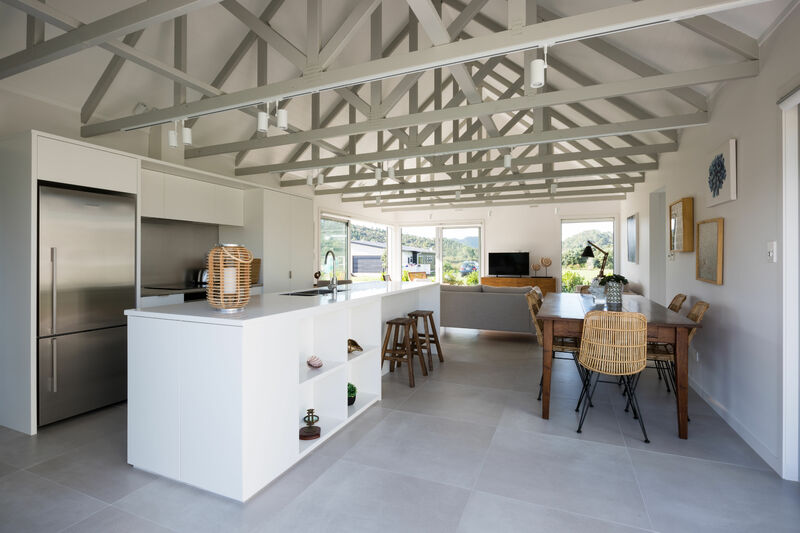 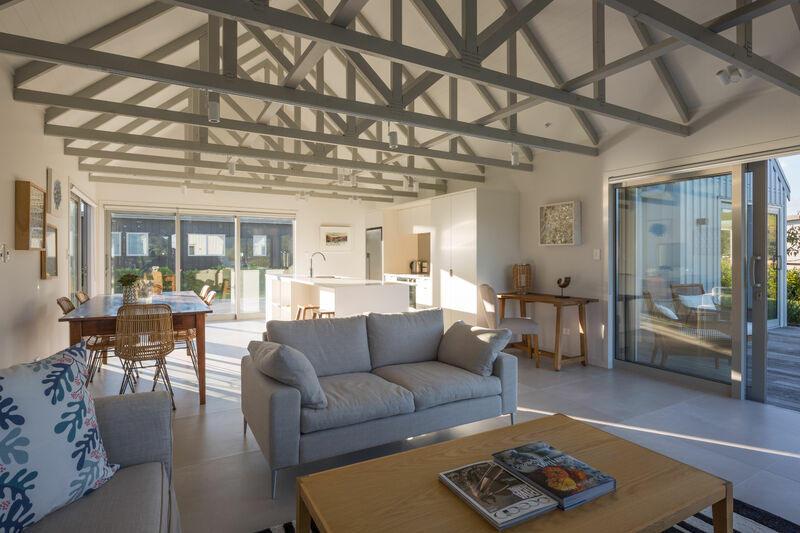 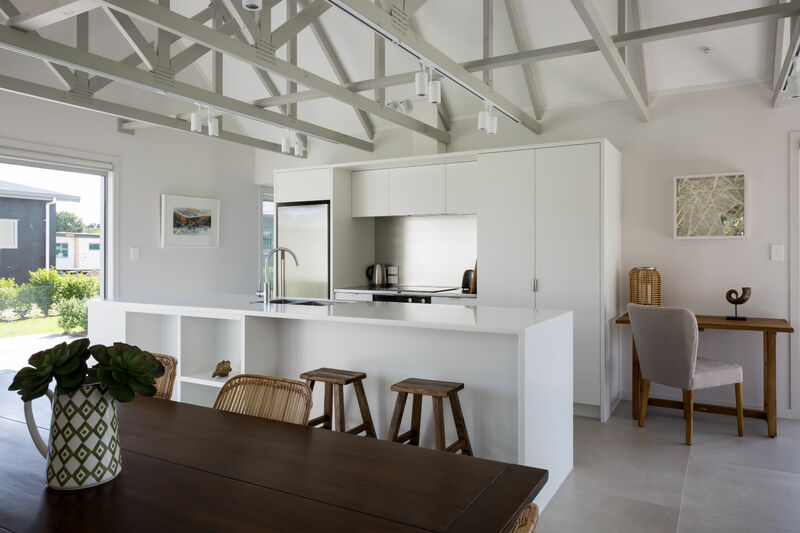 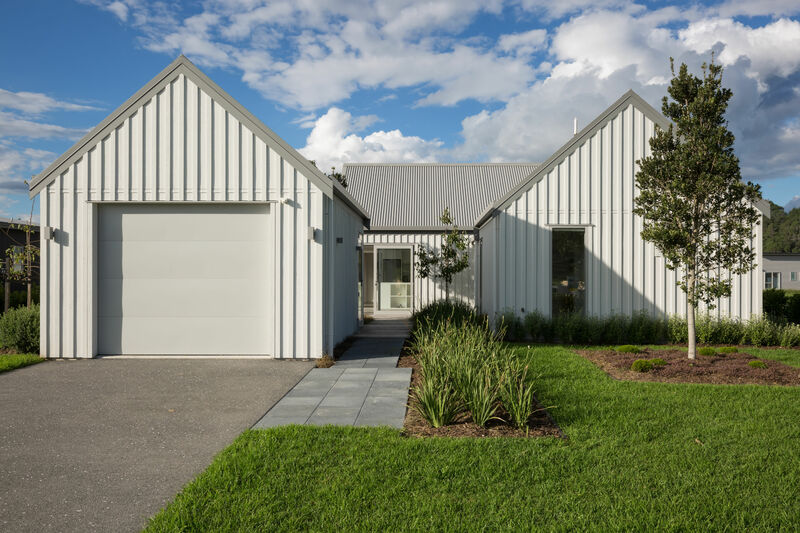 High ceilings and exposed trusses create light, airy, lofty interiors, while colours and materials were inspired by the house's coastal location.